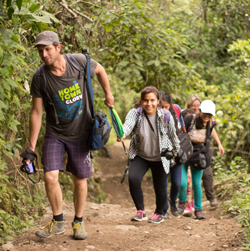 In January 5 of the Peruvian FairMail teenagers set off to the Peruvian cloud forest. Accompanied by 5 enthusiastic photo amateurs who had booked a place to come along on one of FairMail’s photography trips. The destination of the trip was the “Lost Empire of the Chachapoyas”, a beautiful area in the North East of Peru where the Chachapoyas civilization reined until 500 years ago. They were one of the few civilizations not to be conquered by the Inca’s. In this area you can find the second highest waterfall of the world, a bigger, older and higher lost city then the famous Machu Picchu in the South and over 60 mummies from high placed officials. All in all a beautiful area to take pictures together. Of the nature, the local people and of the teenagers’ ideas for new fair trade greeting cards of course! 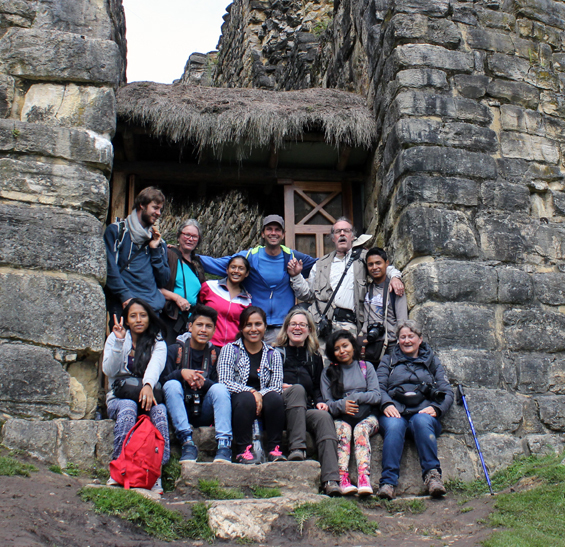 You can watch the photos of the trip on FairMail’s Facebook page or you can watch the video of an earlier trip to Chachapoyas here. Are you curious to find out travelling with FairMail is an option for your next holiday? Then register for our next Information Session about our photography trips.